Hello Friends!! 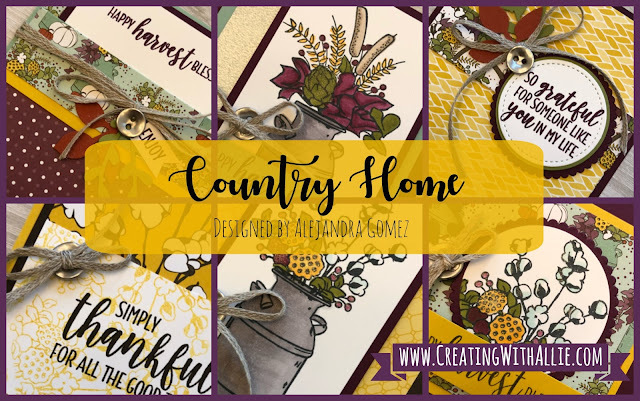 Today I am participating on The Joy of Sets Blog Hop which is focusing on products out of our Holiday Catalog, so be sure to check everyone's blog as I am sure you will enjoy watching all the holiday projects and I know you will get tons of inspiration for your next creation! For this blog Hop I decided to go with a Halloween project!! I love this holiday and since it is soon to arrive, lets get ready for it!! don't you agree?? The card I am showing today features the Toil and Trouble designer series paper, I love the colors on it and I love that you can die cut some of the designs on this paper with the framelits on this suite!! 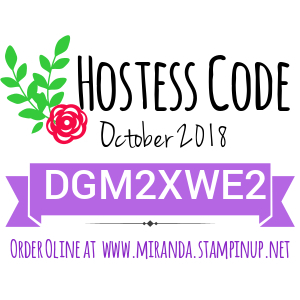 More and more Stampin' Up! 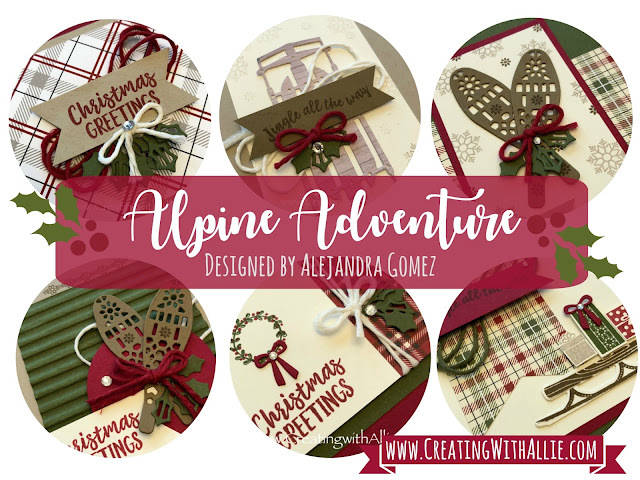 is coordinating the bundles with the designer series paper, so not only can you cut the stamped images but you can also cut the images on designer series paper!! how clever is that!! At the time I was making my card I had not received yet my framelits so I did have to hand cut a lot of the designs but quite honestly it wasn't that bad of a task, so it is manageable, so don't stress about fussy cutting.. The background was stamped using the buffalo check stamp set! this has become one of my favorite stamps for real!! you can use it for all occasions!! no kidding, I have used it so much that you would not believe it!! Some ideas for the Buffalo Check stamp set - You can do tone on tone (stamp in the same color as the cardstock you are using) or you can make combinations, like the one I did on my card below it is using a darker color than the cardstock, also you can do like crumb cake, greens or reds shades of cardstock and stamp the buffalo check on early espresso and you will get a background perfect for like Christmas cards or masculine cards, or you can do whisper white cardstock with light colors and it would be perfect to like baby shower cards, so again the options are infinity! So if you don't have this stamp set, I highly recommend that you add it to your shopping list! you will love it.. The sentiment and the star came from the takeout box bundle, this one is a great bundle as it makes a little treat box, and the coordinating stamp set has stamps that would go perfect for valentines, Halloween, Christmas or any other occasion, this is another great bundle that should probably need to be on your shopping list! you won't regret it! You can watch the video tutorial below, where I go over measurements, tips and tricks on how to make this card. You will see that this card is so easy to duplicate!! Thank you so much for stopping by today, make sure you visit all participant blogs on this hop, you will not regret it, the previous blog is the one from Jenifer Arent and the next blog is the one from Andrea Parr, you can click on the arrows to take you to both of these blogs! Click HERE on the images to learn more about these classes! thanks Angie! I love that stamp set so much!! Loving this card, that witch is starting to grow on me. I love the colours in this card - and the ones you've showcased -they are so lovely. That Buffalo Check is a great stamp I hope it remains for a long time in the catalogue. 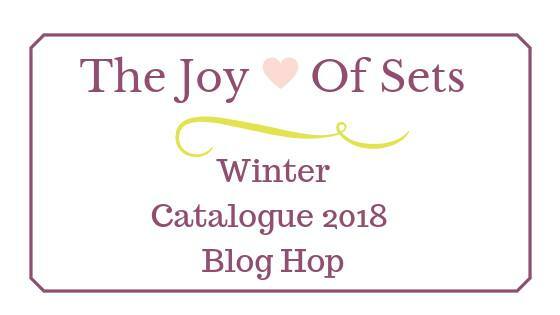 Thanks for being part of Joy of Sets blog hop. Your cards colors "scream" Halloween! I love it! love this card - the colours are perfect! Nice card - I love the colors! What a super cute card! Yes, that Buffalo Check background is perfect for so many different types of cards. Super project - I just love the Buffalo Check stamp - another item for my shopping list! !